After migrating from Malaysia as a child, Ken's path to a career in dentistry began after needing root canal treatment in early high school. Graduating in 2006, he spent time working regionally in Bendigo for 2 years before moving back to Melbourne for family reasons. 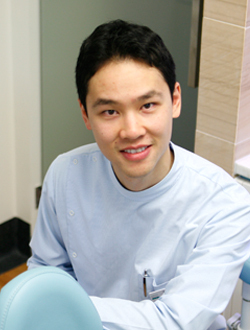 Since his own personal experiences, Ken is especially passionate about the dental health of young kids. Ken considers himself an amateur cook and particularly enjoys spicy food. In his spare time, he relaxes by reading the stories of his childhood hero Batman. He also enjoys listening to indie-rock music and the sound of his own voice.